This is the moment of truth for you as the DJ! This is when you are 100% in control of the situation. You want to have as many people as possible up and dancing the majority of the time. You won’t need to get onto the microphone a great deal during this time other than to make announcements like photo booth or the Candy Buffet or any other announcements requested by the Bride & Groom. 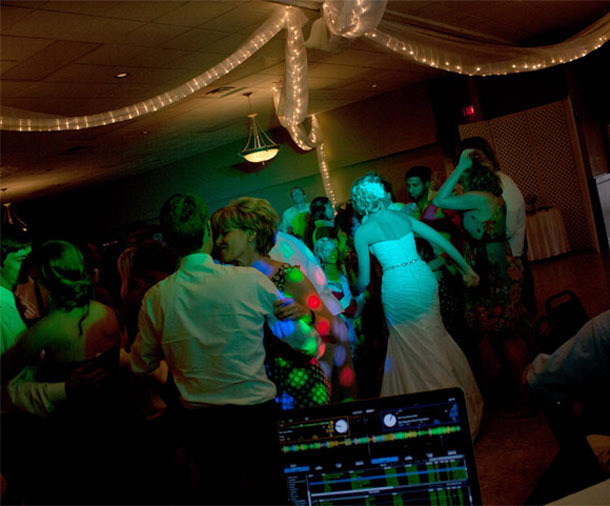 It is likely that you’ll want to get on the microphone to get guests on the dancefloor every now and then if you have a shy audience..
A rule of thumb is that you should always have at least the top twenty titles for the last few years, with dance tracks usually being in the highest demand. Once you have all the necessary tracks, you shouldn’t have to buy more than about three singles per week for maintenance. This is the most important part of the job. In many cases, this will mean foregoing your own personal preferences in the interests of your audience (welcome to the entertainment business). Weddings are also an occasion where several generations are present: Bride and Groom, their friends, parents, grandparents, aunties and uncles in many cases young nieces and nephews. It’s not an easy one and definitely requires some variety to please a good percentage of the crowd the majority of the time. – Plan your music by preparing ahead and writing down/making lists of songs of same genre that you could mix together in a song selection. Don’t mix genres within a song selection otherwise it just doesn’t flow as well. We’re not going to go into beat mixing and all the technical aspects within this article as this is not the subject of this series. 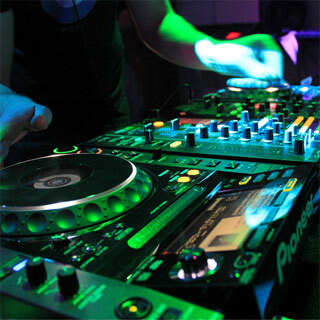 – After playing a few songs of a particular genre, you can change genres with another selection of songs. – Volume would also start off lower and increase as the dancefloor fills with people. – You can certainly take requests but you need to obviously fit them in where they fit in terms of genre and tempo. You may also have discussed specific tracks with the Bride and Groom that they wanted played, so make sure you accommodate those in your playlist. Obviously, we can’t cover all the best songs and we’re sure you’ll find other good songs to get the crowd dancing but the list is long and these are only a few ideas to get you going..